Did you know that last Monday was National Mother-In-Law Day? I hope that everyone remembered to celebrate😊! Now just to clarify, I really do love my mother-in-law. She's great!! How lucky am I that she stays out of our business, well, most of the time. I know what you are thinking, I am just trying to stay on her good side. Don't worry, I am 99.9% sure that her Jitterbug phone doesn't even have internet service, so she will never even read this! Remember how I told you that she stays out of our business?? I guess that doesn't include her giving me her opinion on, well, just about everything! But isn't that what mother-in-laws are supposed to do? I was so excited, I told my mother-in-law that we were getting a new sofa. "What color is it?" she asked. "It's white!" I said. Dead silence.....then she said "Honey, are you sure that you want to do that? I don't think that is a good idea. You know white is going to be really hard to keep clean!" I responded, excited that for once, I could correct her, of course, nicely. "No, it's not just any white fabric! It's a Revolution fabric!!" No worries for me! If it gets dirty, it easily cleans with a little soap and water, add some bleach for the tougher stains. 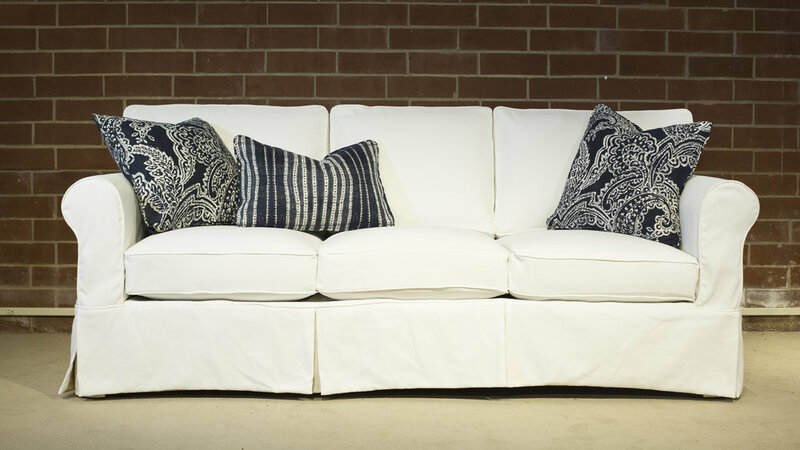 I am so excited I can finally get the white sofa that I have always wanted!!! It's an election year. Time to think about what qualities I like in a candidate. The more I think about it I realize I'd like a candidate that has the same strengths as Revolution. Revolution Performance Fabrics® are durable, strong and survive anything you throw at them. I bet you could guess what pattern this is.........Sugarshack!! 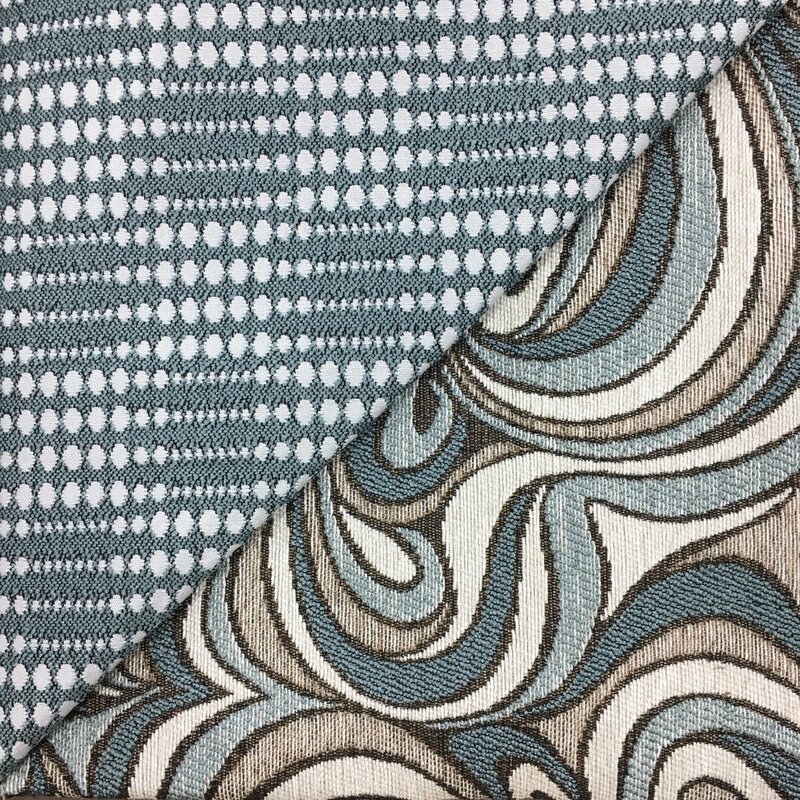 Meet Revolution pattern Chic.. a swirl pattern in bright retro colors as well as a full range of neutrals. And the coordinating Revolution pattern Flirtation is an undulating dot available in a rainbow of matching colors. Pattern Idlewood (wait...doesn't this pattern look familiar) takes me back to childhood summers, strolling through fields of wildflowers, and picking a bouquet of daisies for my mother. This retro pattern is a throwback to days gone by with a refreshing twist of color based on today’s trends. Best of all, it’s Revolution, so it can be enjoyed for many years to come. The different studios have different strengths. They vary in their focus including: traditional, contemporary, conversational, bohemian, transitional… the list goes on. We all have our personal favorites. It really gets your creative juices going to shop for artwork… all that pattern and color!!!! On a personal note, I’ve been told often “you’re a good looker”. Don’t worry I’m not bragging about my appearance, but my ability to look quickly and know what I like a need from a collection!! So we all are looking forward to our next visit from an art studio! So… in a recent email that I received from a customer wanting to know where she could buy Revolution Performance Fabrics®, she said that she had looked at a lot of other performance fabrics and she couldn’t find anything that compared. I told her that she was right! Nothing compares to Revolution!! How many fabrics can you buy that are Made in the USA, chemical free, affordable and still look fashionable and feel incredible?? Actually 287 to be exact (as of today), and they are all Revolution. We challenge you to find something better! Like the rise and fall of a river’s edge, the imagery in our new Revolution fabric was inspired by the closing of a late summer rain. Residual water gently carves a temporary path across the landscape, only to disappear as the remnants of dusk give way to darkness. Torrent captures a moment in time. The calm after the storm. The wildest runway trend for Fall 2016 are animal prints specifically leopard prints. Just off the loom waiting to be finished is our Revolution version for December Showtime. We are introducing a new exciting construction in Revolution... Revolution Plus Performance Fabrics®. It is an unfinished jacquard. What does that mean? You can wash the fabric in the washing machine! This opens up a lot of end uses… top of the bed, slipcover, pillows, dog beds etc!! 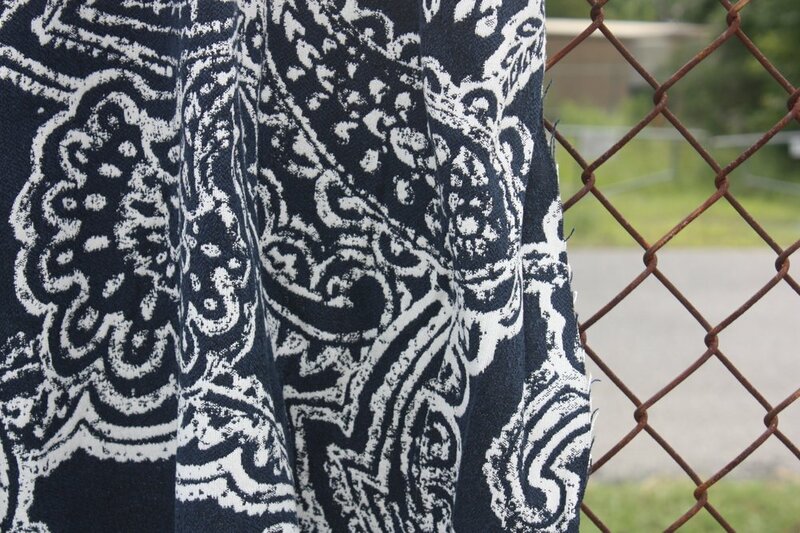 We have appropriately named the first pattern Hypnotize… because the possibilities will Hypnotize! This design is a classic frame with a twist… soft casual ikat lines to the drawing. We are excited about the launch of this new category! The beauty of vibrant color in its purest form peaks through a crack in the windowpane on an early Spring morning, finding its resting place on the muted surface of the sofa. The irony is breathtaking. If only this spectrum of color could be held. . . could be harnessed. . . could be experienced again and again. Vibrant color finds its eternal home in this pattern called “Spin City.” Inhale. . . exhale. . . and experience color again and again. 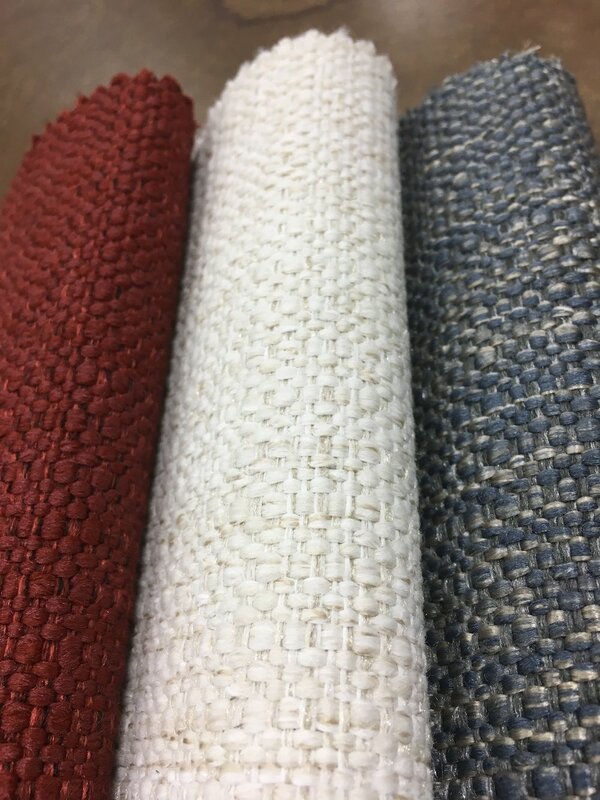 Bring the joy of new, bleach cleanable Revolution jacquards to your home… even if you live on the dark side of the moon. . .
STI celebrated the second birthday of Revolution Performance Fabrics® a few weeks ago. Now this week is my two year anniversary working at STI. 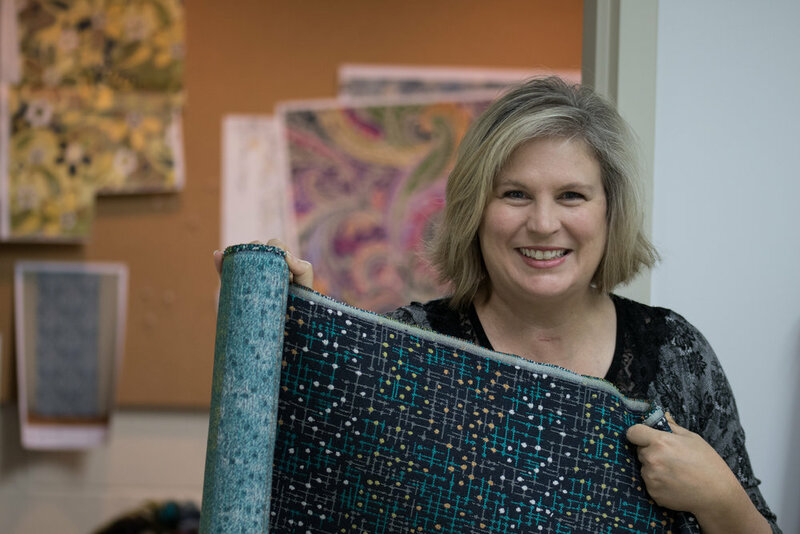 It is such a pleasure to be a part of a growing textile manufacturing company located right here in Kings Mountain, North Carolina. I am beyond excited to be a part of the Product Development team and the "revolution" that we have created.